What you want, need and deserve. A total pool and spa experience requires complete control…and yes, perhaps a splash of indulgence. Synergy. Symmetry. Harmony—some things are designed to go together, and in doing so, they become greater than the sum of their individual parts. That's how the Totally Hayward® System operates. By combining innovative technology, quality products and single-source convenience, Hayward has created the ultimate pool experience for your backyard getaway. We at Pools Plus give you the Totally Hayward® System designed to be the best in its class with which you receive total warranty coverage for worry-free pool enjoyment. The high-performance, patented components are compatible with a wide range of other equipment, making it possible to easily retrofit to existing systems. 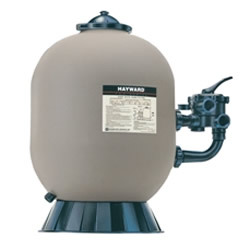 From variable-speed, to waterfall and pool booster pumps, Hayward’s pump line is engineered for performance, efficiency and dependability. Widely recognized as the industry frontrunner, their line of high-performance and medium-head pumps lead the way in energy efficiency. The UL® and NSF® rated pumps come with heavy-duty motors for cool, quiet, efficient operation. 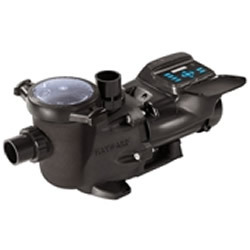 All of these have been engineered for top performance in the most demanding installations of today, setting a new standard of excellence for spa, waterfall, and swimming pool pumps. Keeping your pool properly heated can increase its value and lengthen your swimming season. If you're searching for superior comfort and control, Hayward's top-notch, highly efficient pool heaters for in-ground pools is the answer for you. 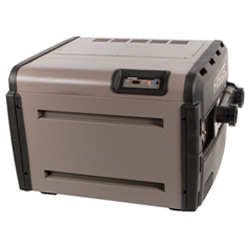 Install a world-class in-ground pool heater for the ultimate in luxury. It’s important to clean your pool regularly—not just to enhance its appearance and sanitation level, but to protect the quality of your investment. For this reason, we provide Hayward’s automatic pool cleaners that provide greater energy efficiency with less effort. 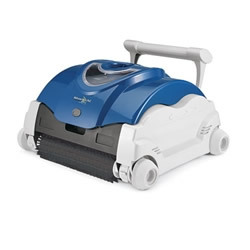 Hayward’s swimming pool vacuums and cleaners have been widely recognized for their ease of use, optimal cleaning performance, and superior efficiency. It’s amazing what a little salt can do to enhance your swimming experience. You can forget about mixing, measuring, and messing around with harsh liquid or tablet chlorine. You can say goodbye to itchy skin, red eyes, and heavy chemical odors. Now there’s an easy, efficient, and cost-effective way to chlorinate your spa and pool. 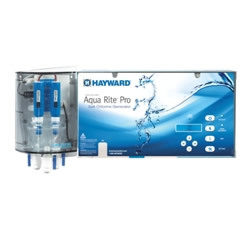 Hayward’s salt chlorine generators keep your pool properly sanitized and safe for swimming. Hayward automates virtually everything, for a better backyard experience and more time to enjoy it with a line of the industry’s best automation to suit any backyard environment. 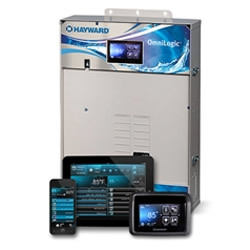 Adding automation takes the work out of pool and spa ownership by automating all work-intensive functions, such as sanitization, balancing pH, cleaning and filtration. Add even more control with the intuitive user interfaces of our premium and elite automation. Customize your system to manage other backyard features including landscape and pool lighting, water features, fire pits and more. Perhaps best of all, automation can save you money - by automating essential pool and spa functions, you can save up to 70% on your pool’s energy costs.